Abstract: On the magazine SIGNS of the Times in Australia, October 1996, Grenville Kent put a big question: What Darwin taught Hitler? 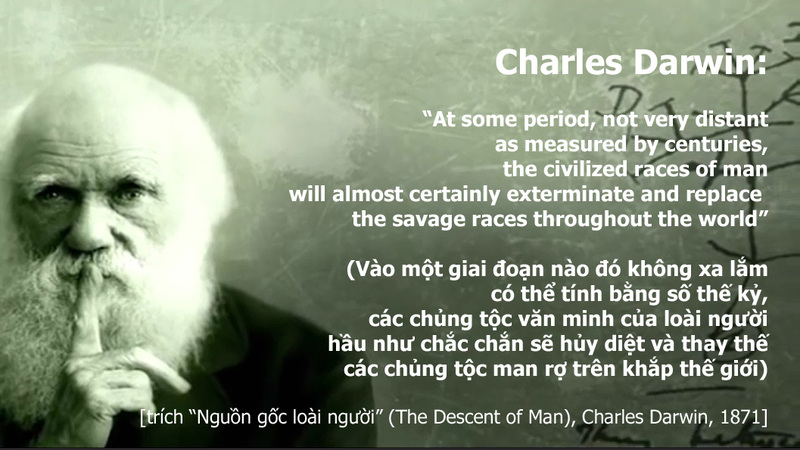 He interrogated why we condemned Hitler while accepting Darwin’s Theory of Evolution, in which Darwin said:“At some period, not very distant as measured by centuries, the civilized races of man will almost certainly exterminate and replace the savage races throughout the world”. So, Kent’s question should be repeated: What did Hitler learn from Darwin?